Although there are only a few fragments to work with, it is not impossible to imagine what Herod’s tomb and sarcophagus (stone coffin) once looked like. There are several other contemporary royal tombs and tombs of affluent individuals that provide better preserved and clear parallels to what once stood on on the side of the Herodion. 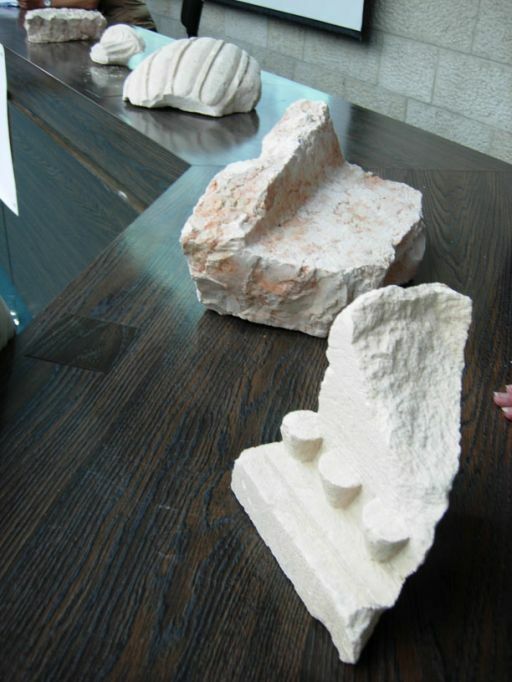 1) “Herod’s Family Tomb,” which is preserved in a park near the King David Hotel. Although the name suggests that it contained the remains of Herod’s family, this was only a suggestion based upon Josephus’ description of such a tomb. No inscriptions were found to confirm this. This tomb was equipped with a separate funerary monument called a “nefesh” that once flanked the entry court that provided access to the tomb. 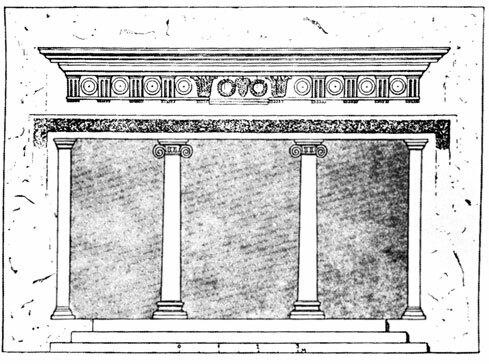 All that is preserved of the monument today are the foundation stones which, although lacking ornamentation, look like a smaller version of what has now been discovered at the Herodion. The tomb was entered by descending from the courtyard through a rather plain opening protected by a rolling stone. The four large chambers (and one small one) inside were open areas with low ceilings and without niches. A narrow air shaft ascended vertically from inside one of the chambers. 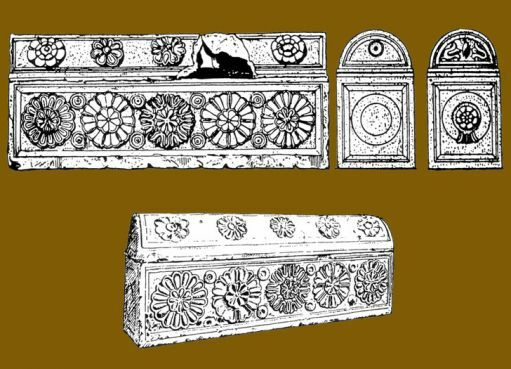 Complete limestone sarcophagi, not dissimilar in form to that found at the Herodion, were found inside. 2) “The Tomb of the Kings”, was actually the royal family tomb of Queen Helene of Adiabene. 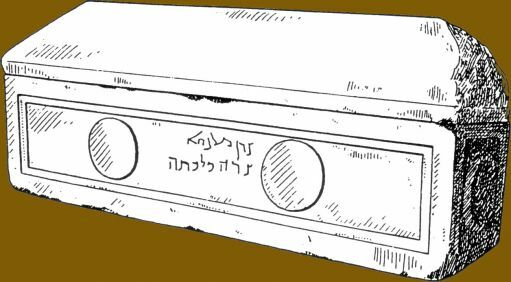 Josephus provides us with a description of a royal family from a Mesopotamian principality who converted to Judaism and moved to Jerusalem during the first century CE. This tomb complex once had three monuments which once stood above the entrance to the tomb, which was approached from a monumental stair case through a large courtyard equipped with ritual immersion pools at its entrance. Across the courtyard was a two column, distylos in antis, style vestibule, which stood below the monuments and provided access to the tomb complex below through a rolling stone entrance. 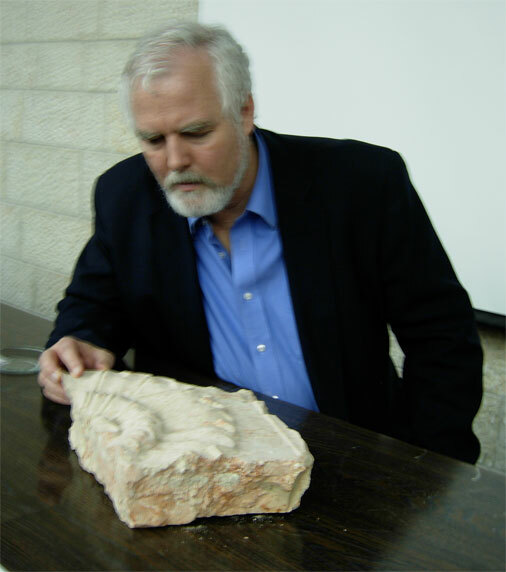 (The two columns have ionic style capitals, with two scrolls, and are similar to the ornate fragment of one such scroll found by Dr. Netzer at Herodion.) The decorated architrave ascended above the columns, with a grape cluster at the center flanked by two wreaths, and two rows of shields extended to each side separated by triglyphs. At the bottom of each of set of triglyphs is a row of round inverted cones or “teeth” (similar to those found at Herodion; see in foreground of photo above). Avigad, N., “The Necropolis” in Avi-Yonah (ed.) Sefer Yerushalayim. Jerusalem and Tel Aviv. 320-348.